For much of the second half of the 2013-14 A-League season, the talk around Alessandro Del Piero has been of the ‘will they, won’t they’ kind, specifically if a contract extension would be offered to the Italian great. While few can argue that Del Piero is the best player Sydney have and has dragged the Sky Blues kicking and screaming to a finals berth, argument has persisted on whether he is in fact holding the club back: would Sydney be better off parting ways with Alessandro? This weekend’s 4-1 win over Wellington provides a perfect example of the heavy reliance team have on Del Piero. After all, it was his build up play that led to his successful penalty, and to his wondrous free kick for his brace (should I be capitalising his?) He also had a hand in the third goal with a finessed play-on to Sebastian Ryall for his goal. It would not surprise me if Ali Abbas came out this week to admit he had lent his shirt to Del Piero when that fourth goal was powered into the far top corner from outside the area. Hyperbole aside, ADP remains the lifeblood of the Sydney FC squad. His 10 goals this year are double that of the next highest Sydney FC goal scorer, Richie Garcia, as the Italian maestro follows on from his incredible 2012-13 season as Sydney’s highest scorer with 14 (the next highest Sky Blue player was Yairo Yau, with 6). Sydney’s run into the finals this year would not have been possible without him, so why even consider letting him leave? Because Sydney FC are victims of Del Piero’s successes. Much like the latter years of Thierry Henry at Arsenal, or more recently Barcelona with Lionel Messi, having a player that good in a team – a player relied upon on a weekly to get results – changes the way a team plays. 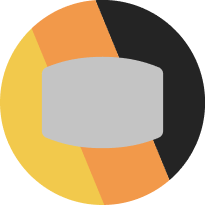 Too often other players in the team will play the wrong option to try and get the ball to a superstar player when he should not be receiving it. They will slacken off in support play on expectation that the player will make it all happen by themselves. Worst of all, the team will have little idea how they play when a player like that does not play. This is without even the additional financial burdens of the A-League. What has been evident in Sydney FC’s season this year is that they are short of quality players in many areas of their squad, and this is at least in part due to the diversion of funds to pay Del Piero his reported $4 million per year salary. Despite his exception to the wage cap as a marquee player, any club director places restrictions on the collective wage they offer a team each season, and the reality is that by making this sort of payment, Sydney FC has been limited in the money they can spend elsewhere. Without that kind of investment, the reliance continues to build, and the team’s habit of relying on Del Piero to produce becomes increasingly two-dimensional. The third goal of Sydney’s on the weekend displayed the kind of football Sydney’s fans had been missing. Great one-touch football from Sydney FC along the right wing, followed by a cool finish by Sebastian Ryall – and yet all the television commentator could point out was the great final pass from ADP. It would be hard not to succumb to the aura of the man, but too often the team has had to fall back on the talent of Del Piero to find the back of the net, and as a fan, the football has become increasingly flatter to watch. As hard as it may be for the Sky Blue management and fans to accept, the possibility of dropping Del Piero may not only free up some expenditure on other areas of the team, but the tactics as well. 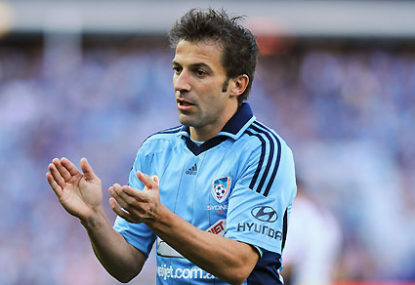 Do you think Sydney FC should hold onto Del Piero for another season or not?